Whenever there’s a major project, the California Environmental Quality Act (CEQA, pronounced seek-wa) requires the project’s sponsor to make an Environmental Impact Report (EIR). 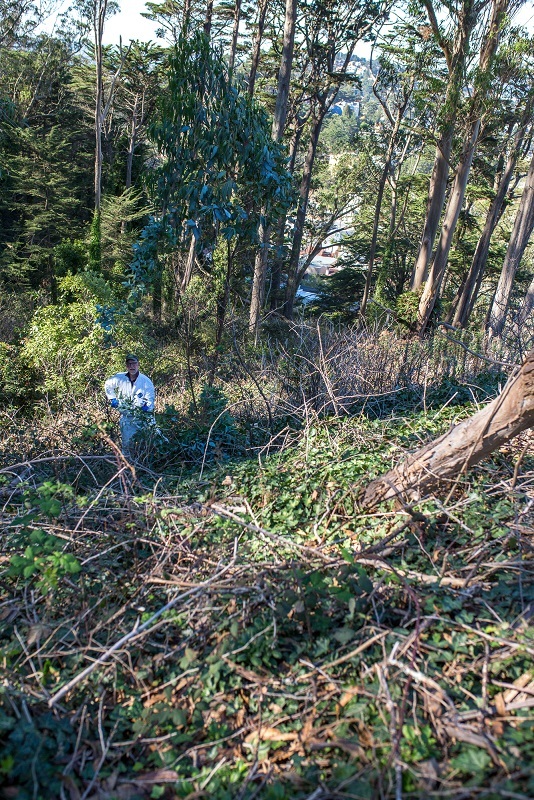 The San Francisco Recreation and Parks Department wants to implement a plan in the “Natural Areas” which will require cutting down thousands of trees, closing trails, and using toxic herbicides. However, we’ve written about the Plan (which in the EIR is called the Project) separately. The focus of this article is the flaws in the EIR. The situation now is that the Planning Commission will be looking to certify the EIR. They have to evaluate only three things: Is it adequate? Is it accurate? Is it objective? This EIR does not meet these criteria and should not be certified. 1. CARBON SEQUESTRATION CALCULATIONS ARE INACCURATE. The EIR is inaccurate because the carbon sequestration numbers are wrong. They have been based on false assumptions, and the actual calculations are wrong. According to the correct calculations, there will be a net release of carbon of over 70,000 metric tons – and that’s a conservative figure. The EIR’s authors purport to use the calculation methodology incorporated into CalEEMod. However, they actually don’t. Instead, the authors have made up their own method – one that fails to account for the carbon released from the trees destroyed! Mt Davidson – where is more carbon being stored? The carbon sequestration calculations in the EIR reach the conclusion that grasses and shrubs will sequester more carbon than trees. This is obviously untrue. And there’s data. For example, A research study in Australia concludes that forests store about 10 times more carbon than perennial grasslands. It also does not account for the carbon released from disturbing the ground and from the actual machinery and vehicles used in this implementation. The EIR is inadequate because it does not consider the effect of cutting down the so-called “saplings” – young trees that are less than 15 feet tall. According to the Plan, they can be cut down without any notice, at will. However, small trees account for some 15-30% of San Francisco’s trees. There are an estimated 11,000 such trees in “Natural Areas”, already established and growing. Left alone, these are the ones that will regenerate our forests and become the carbon-sinks of the next decades. Instead, the plan is to just cut them down without any notice or consideration, and instead plant at great expense other saplings which will require care for the first few years, have a fairly high mortality rate, and never grow as large as the removed saplings would have. 4. THE EIR IS INACCURATE IN PROJECTING HERBICIDE USE. 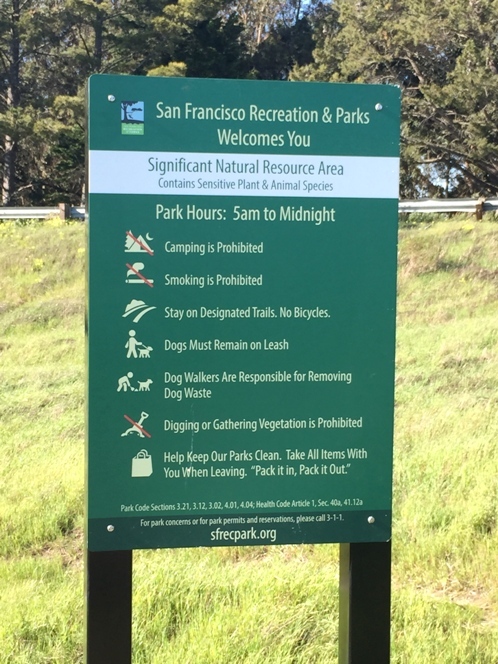 Based on the data for the first 10 months of 2016, The Natural Resources Department (NRD, formerly known as Natural Areas Program or NAP) used more herbicides than any comparable area of SF Recreation and Parks Department (SFRPD). Other SFRPD departments applied herbicides 19 times, while the NRD used them over 100 times! They use only Tier I and Tier II herbicides (most hazardous and more hazardous) including Roundup, which is a likely carcinogen. Since April 2016, SFRPD (without Harding Park) has all but eliminated its herbicide use – except for the “Natural” areas! This does not include undocumented usage where the use of herbicides is not reported. The EIR says there will be no increase in herbicide use. This is impossible, since the Plan calls for cutting down over 18,000 trees and treating the stumps with herbicides. The NRD has clearly shown a considerable willingness to use toxic herbicides, including for eucalyptus stump treatments. If the Project is implemented, thousands of trees are cut down, the stumps will all be treated with herbicide – probably several times. This includes the saplings, as in the picture above. A massive increase in herbicide use is inevitable. The Plan call for closing 95% of the parks in Natural Areas to public access, by limiting people to using only the trails and also by closing many miles of trail. This makes most of the park “look don’t touch” areas. You can’t go off the trail to explore, to play a game with your child or pet, to view a bird or pick a flower. These parks are not remote inaccessible areas – they are the place where we walk, where we take our families to be in nature, where we picnic or take our pets. They are our backyards and we are being shut out of them. 6. THE EIR UNDERSTATES THE IMPACT OF REMOVING TREES IN SPECIFIC LOCATIONS. In any case, when a tree is removed from a specific location, it impacts that area. 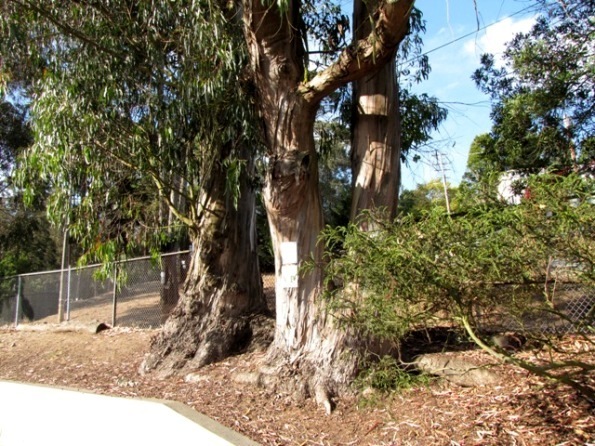 In McLaren Park, the trees lie between the freeway and dense residential areas, and help improve air quality for the residents. If over 800 trees are removed and – for argument’s sake – replanted in Golden Gate Park, the impact would be significant. Furthermore, a sapling does not have the same effect, whether aesthetically or in its ecological benefits, as a 100-year-old mature tree. Going by the experience of Glen Canyon, only a few large native trees would be planted in Natural Areas; it would mostly be shrubs or small trees, which do not have the same aesthetic and environmental benefits. 7. EIR USES THE WRONG DEFINITION OF BIODIVERSITY. By inserting the word “native” into the definition of biodiversity – which actually does not exist in the reference on which it is based, the very definition of the term is changed. 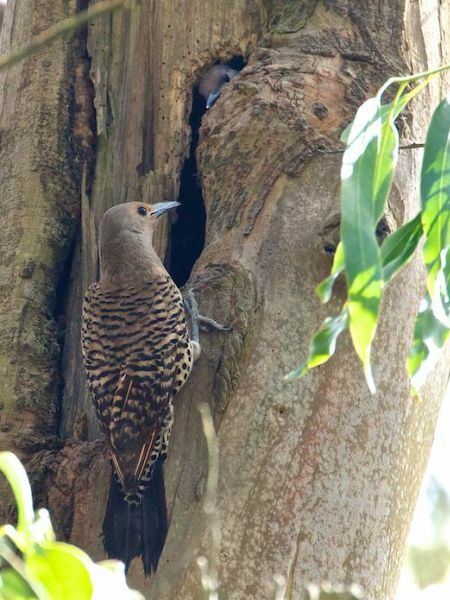 All trees and plants, whether native or non-native are part of our local biodiversity, just like people from everywhere are part of our city’s population diversity. Adding the word “native” to “biodiversity”, demonizes any non-native species. In fact, our urban forests are historically a part of the totality of variation in San Francisco and have been so for almost 150 years. “Native” was inserted into the Sustainability Plan, into SNRAMP and into the EIR by local native plant advocates who have an agenda to push. This indicates lack of objectivity. 8. THE EIR IS INACCURATE WHEN IT SAYS NATIVE PLANTS ARE MORE DROUGHT TOLERANT THAN NON-NATIVE PLANTS. The EIR claims native plants with being more drought-tolerant, more adaptable to climate change and require less irrigation than other plants. No evidence is provided. These attributes can be found in both native and in non-native plants. The very fact that over three dozen species of non-native plants are so successful in our Natural Areas that the NRD has repeatedly been using Tier I and Tier II pesticides against them for years shows that native plants have no particular claim on sustainability. It’s just a gardening preference – and one that is the opposite of sustainable because it requires constant application of herbicides and manual labor to maintain them. 9. BLUE GUM EUCALYPTUS NOT INVASIVE. The EIR is inaccurate it its many references to eucalyptus being “invasive.” In fact, the California Native Plant Society classifies it as having only “Limited” invasiveness. Blue gum eucalyptus trees are not causing economic, environmental, or human health harm, which is the standard for invasiveness. 10. EIR IS INACCURATE THAT THINNING WILL ENCOURAGE GROWTH AND FOREST HEALTH. The Response to Comments indicates thinning will help encourage growth and the health of the forest. But thinning would not help because thinning is only beneficial when trees are young (in the pole stage) and vigorous enough to take advantage of the reduced competition. Otherwise, the benefits obtained from thinning mature trees will be negligible. 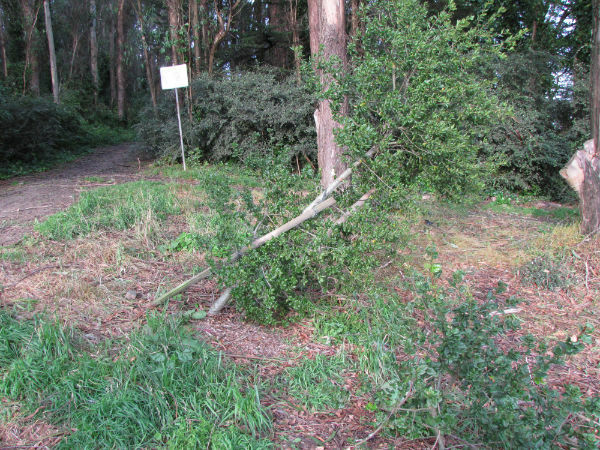 Though the EIR has not been certified, the SFRPD has already started implementing the project under the guise of trail restoration, park improvements, and other capital projects. In Glen Canyon, a project that purported to be only a Recreation Center renovation confined to playing areas of the park actually impinged substantially into the Natural areas, and was “regularized” after the fact. A large number of trees were cut down and replaced with native shrubs. In addition, the EIR is inadequate because it does not consider the impact of the actual extent of trail closures – now 53% of trails in “Natural Areas,” as opposed to the 22% closures described in the Project. This has a significant impact on recreation that the EIR ignores. Similarly, the EIR ignores fences and their effect on aesthetics. The Project says “fencing shall be considered as a last resort…” But that’s not what’s happening (already, despite the EIR not being certified). Fences have gone up in many Natural Areas, in some places giving it all the charm of a cattle chute. The EIR should not be certified. It needs to be replaced with one that more accurately reflects what the Project actually intends, what is going on already (despite CEQA), and uses correct information. If the Project proceeds, one important mitigation needs to be in place regarding trees. SFRPD must undertake to keep accurate records of all trees removed, and of all trees plants, including size, type, location and date of removal or planting. Planted trees should be inspected annually and failed trees replaced. Without this mitigation measure, there is no way of knowing whether there is sufficient replacement – or any replacement. It’s the least they can do.